Have you heard of the Juppy Baby Walker? Well, this is your chance to win a personalized Juppy Baby Walker “Momentum” for your baby or for someone you know. 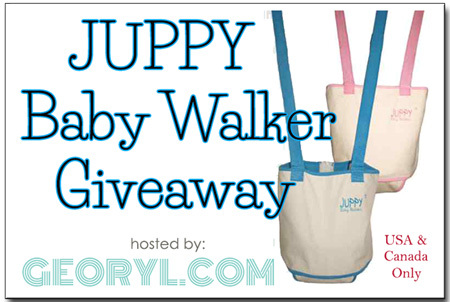 Join the Juppy Baby Walker Giveaway hosted by GEORYL.